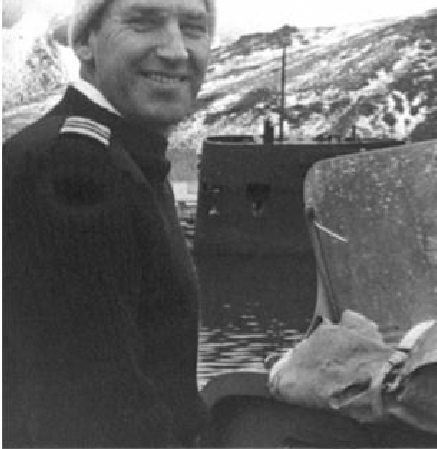 David Mansell Pope, who went aloft on 21st October, went to sea as a deck-boy with Moss Hutchinson Line and was then taken on as a cadet in 1959. On gaining his 2nd Mates in ‘63 he moved to Esso Petroleum and with Mates to Clan Line in ‘66. He was offered a move to the Union Castle Mail ships but declined until he obtained his Masters ticket in ‘68. He then entered the passenger ship world, serving on Reina del Mar, Edinburgh Castle and other mail ships. On the demise of that service and with a taste for passenger ships he joined Cunard and worked his way up from Junior First Officer in various Cunard ships including long spells in QE2 and the smaller passenger ships. David was also a Lt.Cdr RNR. He retired as Staff Captain, QE2, in 1998, but after a couple of months at home he got bored and took command of a beautiful old 160 passenger ship Bali Sea Dancer, cruising around the Indonesian Islands. e was a Cachalot from 1997 and was the impetus behind the Cachalots & The QE2 special that was published last year. Our condolences to his wife Anne, son David and daughters Gillian and Judith.